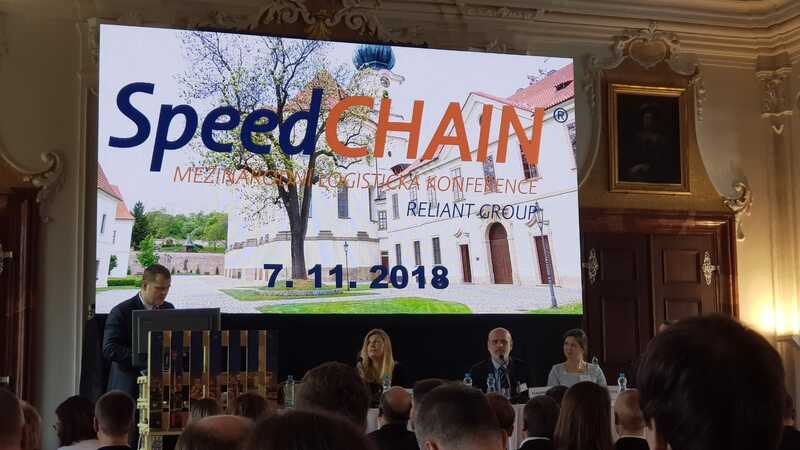 The thirteenth edition of the SpeedCHAIN International Logistics Conference was held on 7 November, 2018. As in previous years, this conference confirmed its position on the Czech logistics market. This year, SpeedCHAIN International Logistics Conference again occupied all available seats at the historical Prague Brevnov Monastery. Almost 700 participants came this year to introduce the latest findings from the world of logistics, discuss contemporary topics, meet with their colleagues and peers thus, establish new professional and personal contacts. The entirely sold out premises of the Brevnov Monastery confirmed the legitimacy of the SpeedCHAIN concept. The SpeedCHAIN attracts more experts and it is an opportunity for people interested in logistics to meet each other. Traditionally, our company did not miss out of the opportunity to meet existing and potential customers; therefore you could find us amongst the exhibitors. The entire day of the conference culminated in the VIP Logistic Rendezvous gala evening, where the winner of the GRYF Supply Chain Award was granted with a prestigious award for the logistics personality of the year 2018. We would like to take the opportunity to thank all our guests for visiting our stand. We look forward to seeing you again in the near future.